The wild—and wildly popular—HISTORY® show returns when Swamp People: Season 4 arrives on DVD February 11 from Lionsgate Home Entertainment. The #1 show in its time period among all key demos, the Swamp People Season 4 premiere drew 4.7 million total viewers. After a hurricane hits the bayou, the swampers’ territory is invaded by two new hunters who challenge Troy Landry’s status as King of the Swamp and the crews embark on new danger-filled expeditions in search of bigger gators and better hauls. 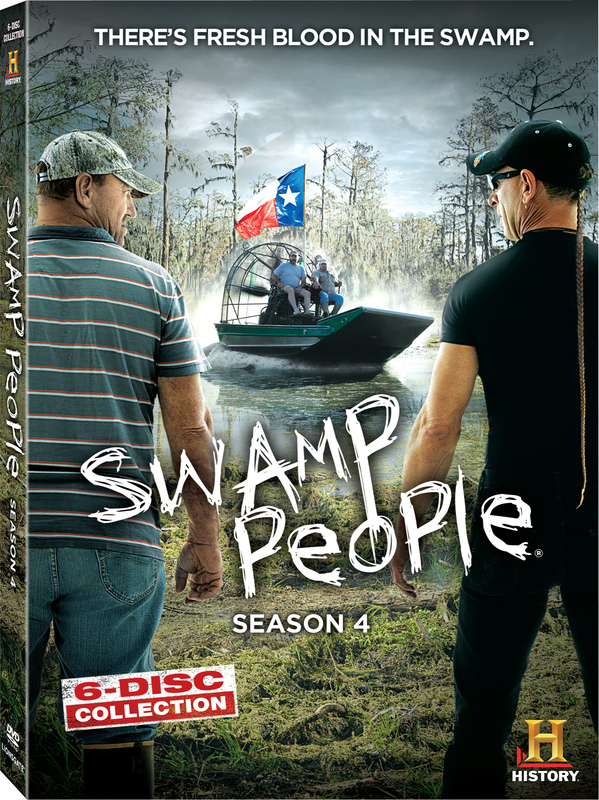 Arriving just in time for the Season 5 on-air premiere, the Swamp People: Season 4 six-disc DVD set, including five bonus webisodes, will be available for the suggested retail price of $24.98. In Season 4, the resolute crews face wild weather, a ticking clock and life-threatening feats. While surrounding states are knee-deep in drought and dehydration, the swampers once again wade through the Atchafalaya waters as Hurricane Isaac hits on gator season’s opening day. Dropping temperatures spur prematurely hatched eggs and early retreat for alligators. With the ultimate goal of bigger gators and higher profits, the hunters remain true to their resourceful Cajun traditions while employing newfangled and unconventional baiting techniques.